The newly formed Real Gone Music re-issue label boasts a diverse release schedule for 2011 and 2012 drawing from both major label licensing arms and independents, featuring such artists as the Grateful Dead, Connie Stevens, Rick Nelson and, kicking off Real Gone’s licensing arrangement with ABKCO Music & Records, Inc., ? and the Mysterians. In 1993, two Ohio boys, Gordon Anderson and Gabby Castellana, both separately started businesses—Collectors' Choice Music and Hep Cat Records & Distribution--that were to become two of the most important outlets for buyers and sellers of vintage music recordings. Now, 18 years later, they have joined forces to launch Real Gone Music, a reissue label dedicated to serving both the collector community and the casual music fan with a robust release schedule combining big-name artists with esoteric cult favorites. Real Gone Music is a music company dedicated to combing the vaults for sounds that aren't just gone—they're REAL GONE. What makes a piece of music real gone? It can be from any era, any genre, from superstar acts or the most overlooked artist—but if it's REAL GONE, it's an essential recording coming to you with excellent sound and packaging, designed to make you feel like you did the first time you bought an album or single at your local record store. And, unique among American indie reissue labels, our release schedule is going to feature about ten titles per month. Because there is still a lot of music out there to rediscover, savor and celebrate. i look forward to lots of great and really gone music for many years to come! 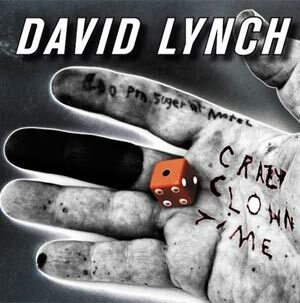 Marking a departure from his revered and influential musical collaborations in the past with Angelo Badalamenti (Twin Peaks), Polish pianist Marek Zebrowski (Inland Empire), and Sparklehorse and Danger Mouse (Dark Night of the Soul), David Lynch now reveals his first solo musical project, with the release of Crazy Clown Time on Sunday Best Recordings on November 7. Recorded over a year at his own studio with engineer Dean Hurley (who also contributes guitar and drums), "Crazy Clown Time" unveils a majestic, yet powerfully idiosyncratic vision of "modern blues" that could only be drawn from the mind of David Lynch. Filled with foreboding soundscapes, hypnotic rhythms and enigmatic lyrics, this is music that will resonate not only with fans of Lynch's films, but also to listeners who appreciate daring, experimental music. 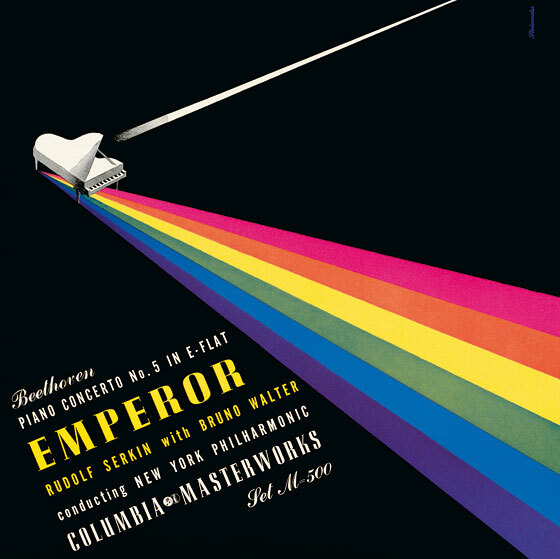 You don't really think of anyone "inventing" the idea of putting graphics on an album cover, but Alex Steinweiss did just that in 1940. Before he figured out that Columbia Records' releases would benefit from some bright graphic design, most discs were packaged in brown paper sleeves. Legendary rock band RUSH has announced details for the first offerings through their recently announced partnership with Roadrunner Records. On November 7, Anthem/Roadrunner will simultaneously release a two-disc live album entitled "Time Machine 2011: Live In Cleveland" as well as "Moving Pictures: Live 2011" on vinyl and digital formats. 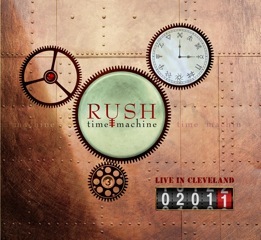 Captured in April at Cleveland's Quicken Loans Arena during the renowned trio's extensive "Time Machine" world tour, "Time Machine 2011: Live In Cleveland" marks the band's first live album recorded at a U.S show, a deliberate nod of gratitude to the first city to support Rush on its radio airwaves. The last three albums from British extreme metal pioneers BOLT THROWER - "Mercenary" (1998), "Honour Valour Pride" (2001) and "Those Once Loyal" (2005) - will be reissued on vinyl on October 24 via Metal Blade Records. All three albums will be released as gatefold LPs in colored vinyl, limited to 1.000 units each. The Storyboard Label (Vancouver, BC) is excited to announce the official release of the Lightning Dust / Hard Drugs split 7” single, available in select stores and online October 04, 2011. It is the inaugural release of The Storyboard Label Singles Collection, a series featuring limited edition, hand numbered vinyl records. This release is limited to only 550 copies. Featuring one fresh, unreleased track by each band, Lightning Dust (Amber Webber and Josh Wells of Black Mountain) offer “Never Again", a song that expands Lightning Dust’s sonic palette using deft synthesizer work and Webber’s always heart stirring vocals. It’s the sound of love and moving forward. 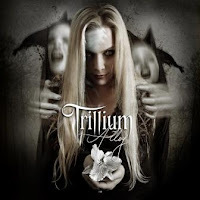 Frontiers Records has set a November 1 North American release date (three days later in Europe) for "Alloy", the debut album from TRILLIUM, the new metal project masterminded by American singer/songwriter Amanda Somerville. "Alloy" is a collection of songs that's charged with emotion and exploration and a very personal statement from Amanda. "Since I'm an eclectic and diverse person and musician, that certainly comes out in this album," the singer states in a press release. "I think that the diversity is what is going to set this album apart from other stuff that's out there right now. 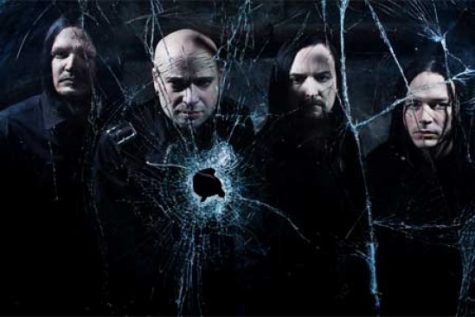 It's got big choruses and epic symphonic hits, guitar solos you could imagine being played on a mountain top with an aerial camera view, but it's also got a lot of soul added to the raise-your-fists-in-the-air-and-make-a-mean-face vibe". Musically, TRILLIUM melts rock and metal in a new, interesting and different way from anything Amanda has worked on so far. 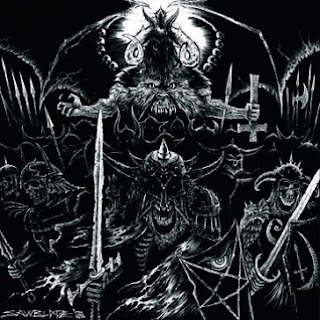 Portland, Oregon metal-punk warriors TOXIC HOLOCAUST have teamed up with Cleveland's MIDNIGHT for a split seven-inch single to benefit Japanese victims of the tsunami disaster. Liberation Music will release a limited edition double vinyl set (500 copies only) of the long out of print ‘Teenage Snuff Film’. Original bonus track ‘Shut Me Down’ will be replaced on the new edition with “Ocean”, the Velvet Underground classic recorded by Rowland with the Devastations and previously only available on 7” vinyl. NEW YORK, Sept. 20, 2011 /PRNewswire/ -- Columbia/Legacy Recordings, a division of Sony Music Entertainment, is commemorating forty years of Billy Joel's career as a solo recording artist with a pair of historic releases - a limited edition Billy Joel - The Complete Albums Collection boxed set and a two-disc Legacy Edition of 1973's Piano Man album (exclusively featuring a long-lost fabled radio concert from 1972) - each appealing to aficionados of the iconic American singer-songwriter-performer. Please visit Billy's website (www.billyjoel.com) for more information. "This has been a long time coming, putting all my albums into one package," said Billy in a recent in-depth interview for The Complete Albums Collection. "I'd never seen them all together in one place until I got the box set. It represents a lot of work! It's a little overwhelming, actually, looking at each individual album and remembering how much writing and recording, the time spent arranging and producing everything that went into each album." In addition to offering brand-new remasters of every Billy Joel studio album, Billy Joel - The Complete Albums Collection includes two lavish 60-page booklets, printed lyrics to every Billy Joel composition, a new Q&A with Billy conducted by noted music journalist Steve Morse, and a bonus disc of 17 rare and non-album recordings including "Elvis Presley Boulevard" (B-side of the "Allentown" single, 1982); the live cover version of the Beatles' "I'll Cry Instead" (B-side of "An Innocent Man," 1983); "House Of Blue Light" (B-side of "We Didn't Start The Fire," 1989); and "You Picked A Real Bad Time" (B-side of "All About Soul," 1993). "You're Only Human (Second Wind)" and "The Night Is Still Young" are outtakes that did not see light of day until 1985. Several tracks on the bonus disc originated as Billy Joel's contributions to various multi-artist movie soundtracks, notably his covers of the Elvis Presley hits "Heartbreak Hotel" and "All Shook Up," both from 1992's Honeymoon In Vegas. Billy covered Lloyd Price's 1959 hit, "Where Were You On Our Wedding Day," for the 1999 movie, Runaway Bride, and Duke Ellington's "In A Sentimental Mood" for A League Of Their Own in 1992. In 1982, Billy Joel contributed his original "Nobody Knows But Me" to In Harmony II, a Columbia LP to benefit Sesame Street/Children's Television Workshop. Other cover tunes on the bonus disc range from Bob Dylan's "To Make You Feel My Love" and Leonard Cohen's "Light as the Breeze" to the Gerry Goffin-Carole King standard "Hey Girl" (Freddie Scott, 1963). In 1991, Billy Joel contributed "When You Wish Upon A Star" to Columbia's Disney tribute album, Simply Mad About The Mouse. And in 2001, Billy Joel sang the Beach Boys' "Don't Worry Baby" at the Radio City Music Hall All-Star Tribute to Brian Wilson concert. The exclusive bonus disc included on Billy Joel - The Complete Albums Collection closes with "All My Life," a 2007 single (which marked Billy's first newly-written song since 1993's River of Dreams) now making its first appearance on an album. The forthcoming Legacy Edition of Piano Man, Billy Joel's 1973 debut album on Columbia Records, includes the 10-song original album in its entirety, remastered for this release in addition to a second disc premiering the first-ever release of Billy's mythic performance at Philadelphia's Sigma Sound Studio on April 15, 1972 (a year prior to his signing with Columbia). Philadelphia Daily News music writer Jon Takiff, an eye-witness to the event, has penned a new essay on the Sigma Sound show for the Legacy Edition of Piano Man. The release and failure of a flawed Cold Spring Harbor, his first solo album, on an indie label in 1971 prompted then-struggling musician Billy Joel to go to Los Angeles and cut-his-chops incognito in local piano bars as Bill Martin (chronicled in Piano Man's title track). Unbeknown to Billy, WMMR, a top-rated Philadelphia FM station, had begun spinning "Captain Jack," a live track from a Billy Joel show they'd recorded at Sigma Sound, and the station's phones were going off-the-hook. The "Captain Jack" live recording was turning into a bonafide underground FM anthem, opening the door for a New York audition, competing major label interest, and a Columbia Records contract for the song's author and performer. "Columbia was Bob Dylan's label," Billy said. "That was the deciding factor. At this time, you were allowed to build your career through FM radio, album tracks, concerts, singles and Bob Dylan was iconic for not being a hit singles type of artist. This was a company that knows how to build a career with an artist, so we decided to go with Columbia. "I never sat down and said I'm gonna write a hit record. I wouldn't know a hit record if it bit me. I just wrote songs. I wrote them for me, I wrote them for the band, or I wrote a song for the women in my life. I was just writing songs for me. It's music that I wanted to hear. If I didn't hear certain kind of music on the radio, I realized, 'Well, if I write and record this it'll probably be on the radio and that's what I'll hear.' That's what I was thinking. Not so much about having hits, but about making music that I liked. I only really ever did it for me. That may sound selfish, but I'm the only person that I really know all that well." The Legacy Edition of Piano Man makes available, for the first time ever, Billy's full performance at Sigma Sound, re-mixed from the original studio recording. The concert includes three Billy Joel songs--"Long, Long Time," "Josephine," and "Rosalinda"--which do not appear on any other albums by the artist and, of course, the performance of "Captain Jack" which launched one of the most remarkable careers in show business. The legendary Sigma Sound performance is available exclusively on the new Legacy Edition of Piano Man (and is not included on The Complete Albums Collection). Willie "Big Eyes" Smith, longtime drummer for Muddy Waters, passed away on Friday morning in Chicago from a stroke. He was 75 years old. Smith was born in Arkansas and moved to Chicago when he was 17, becoming enamored with the local blues music. He formed a trio in 1954 to play in local clubs and eventually started playing harp with such artists as Bo Diddley and Johnny Shines. In 1964, after a charity show that finished their US tour, the Beatles appeared on the "Ed Sullivan Show." In 1966, George Harrison went to India for his first visit to Maharishi Mahesh Yogi. 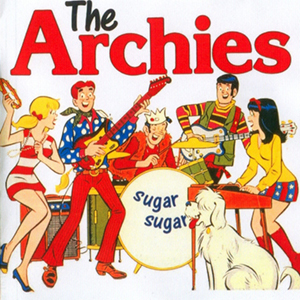 The Archies group was put together by Don Kirshner, a prolific promoter and producer. Kirshner also created The Monkees, and wanted to do the same thing with cartoon characters because they are much easier to work with than people. The song was written by Andy Kim and Jeff Barry, and was performed by session musicians including Kim, Toni Wine, Ron Dante and Ellie Greenwich. 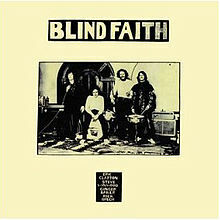 The song is said to have been earlier offered to The Monkees (although songwriter Jeff Barry, in an interview published in the book Bubblegum Music is the Naked Truth, says this is not true), although additional rumors that it was recorded using session musicians with Davy Jones providing all the vocals, but never released, are false. Don Kirshner has said that Mike Nesmith put his fist through the wall of the Beverly Hills Hotel refusing to do "Sugar, Sugar". Jones confirmed that Kirshner had offered it to them, but stated they turned it down, and he never recorded it. The band thought it seemed cheesy and at that point they were looking to mature their sound. However, Monkees archival expert Andrew Sandoval has suggested that the band may instead actually have been offered a tune called "Sugar Man", but with the passage of time the parties involved simply mis-remembered it as being "Sugar, Sugar", in large part because it made a better anecdote. A degree of mystery surrounded the identity of The Archies as this song rose up the charts. Says Wine, "It was a secret who we were. In fact, the New Year's Eve countdown of trivia, for years one of the questions would be 'What group never appeared together, never went on the road together, never interviewed together, as the group, and had a #1 song?' and people wouldn't get it. It was hilarious. But Ronnie and I, in the last few years we've actually done 3 performances as The Archies. We didn't do it for 30-some-odd years, but in the last 3 years we did for the MDA, the Jerry Lewis Telethon, which of course Tony Orlando hosts out of New York, and has been hosting since day one. It was very, very cool. And we also did it when I did a one-woman show at Genghis Cohen in West Hollywood. And then about a month ago (2007) we did a special part for David Gest. And we did it there. It was a hoot." 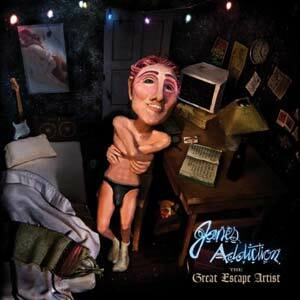 This knocked "Honky Tonk Women" by the Rolling Stones out of the US #1 spot. 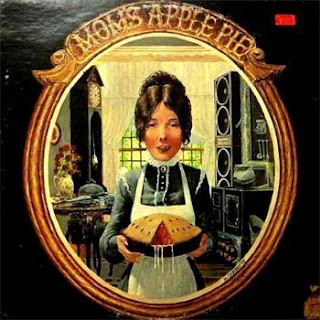 This was the #1 song of 1969 in the US. It beat out songs by The Beatles, The Rolling Stones, The Jackson 5, Elvis Presley, David Bowie, and Stevie Wonder. It was also a huge hit in the UK, where it stayed at #1 for 8 weeks. In 1969, the Melody Maker readers poll results were published. Winners included Eric Clapton, who won best musician, and Bob Dylan, who won best male singer and best album for Nashville Skyline. Best group went to The Beatles, best single went to Simon and Garfunkel for “The Boxer” and best female singer went to Janis Joplin. In 1969, during a meeting in London between John Lennon, Paul McCartney and Ringo Starr, Lennon announced he was leaving The Beatles. Also in 1969, Associated TV spends a million pounds to gain control of The Beatles' music publishing company, Northern Songs. In 1970, Jim Morrison of The Doors was acquitted on charges of lewd and lascivious behavior, but was found guilty of exposing himself during a concert at The Dinner Key Auditorium in Coconut Grove a year and a half earlier. At his trial at the Dade County Courthouse in Miami, Judge Goodman sentenced Morrison to six months hard labor and a $500 (£270), fine for public exposure and sixty days hard labor for profanity. The sentence was appealed, but Morrison was never brought to trial, as he would die in Paris, France on July 3, 1971. Peter Frampton quit Humble Pie to follow a solo career in 1971. In 1972, police found cannabis growing on the farm of Paul and Linda McCartney. In 1973, 30 year-old Jim Croce was killed in a plane crash on September 20th, after playing a concert at North-western State University, Natchitoches, Louisiana. His small charter plane, a Beechcraft D-18, hit a tree just after take-off in bad weather. He and Maury Muehleisen, his lead guitarist, both died in the crash, along with the members of the plane's crew. Only a week before, Croce finished recording his third album, "I Got a Name". In 1973, the Roxy Theater opened in Los Angeles, CA. The opening acts were Elton John, Carole King and Jackson Browne. In 1975, the Bay City Rollers appeared live on the premiere of the Howard Cosell's Saturday Night show on ABC-TV. It was their U.S. debut. Also in 1975, David Bowie had the top tune on Billboard's singles chart with "Fame", a song co-written by John Lennon, who can be heard singing near the end of the record. On September 20, 1984, music lost an underappreciated legend when folk music singer-songwriter Steve Goodman died of leukemia at the University of Washington Medical Center in Seattle, Washington. In 1997, Pearl Jam’s “Jeremy” video was cited as one of the reasons American teenager Barry Loukaitis had snapped into a violent rage that left three people dead. Defense attorneys took the unprecedented step of playing the video in a Washington court. In 1998, the Rock and Roll Hall of Fame and Museum paid tribute to Robert Johnson with eight days of activities. Johnson only recorded 29 songs before dying in August of 1938. In 2010, Leonard Skinner, the Florida teacher who inspired a group of high school students to use his mis-spelled name during their rise to fame as the Rock band Lynyrd Skynyrd, passed away at a nursing home at the age of 77.